Priscilla Maria Veronica White OBE (27 May 1943 – 1 August 2015), known by her stage name Cilla Black, was an English singer, television presenter, actress and author. Championed by her friends the Beatles, she began her career as a singer in 1963, and her singles "Anyone Who Had a Heart" and "You're My World" both reached number one in the UK in 1964. Black had eleven Top Ten hits on the British charts between then and 1971; and an additional 8 hits that made the top 40. In May 2010, new research published by BBC Radio 2 showed that her version of "Anyone Who Had a Heart" was the UK's biggest-selling single by a female artist in the 1960s. "You're My World" was also a modest hit in the US, peaking at No. 26 on the Billboard Hot 100. 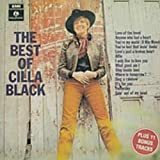 Along with a successful recording career in the 1960s and early 1970s, Black hosted her own variety show, Cilla, for the BBC between 1968 and 1976. After a brief time as a comedy actress in the mid-1970s, she became a prominent television presenter in the 1980s and 1990s, hosting hit entertainment shows such as Blind Date (1985–2003), The Moment of Truth (1998–2001) and Surprise Surprise (1984–2001). In 2013, Black celebrated her 50 years in show business. British television network ITV honoured this milestone with a one-off entertainment special which aired on 16 October 2013. The show, called The One & Only Cilla Black, featured Black herself and was hosted by Paul O'Grady. Black died on 1 August 2015 after a fall in her villa in Estepona, Spain. 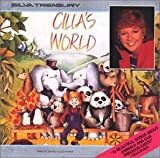 The day after her funeral, the compilation album The Very Best of Cilla Black went to number one on the UK Albums Chart and the New Zealand Albums Chart; it was her first number one album.